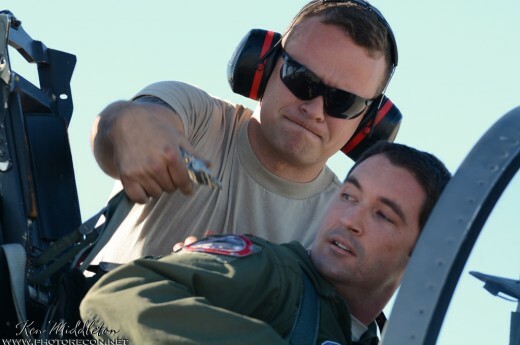 One show that definitely stands out each year is the LA County Airshow at Fox Field in Lancaster, California. 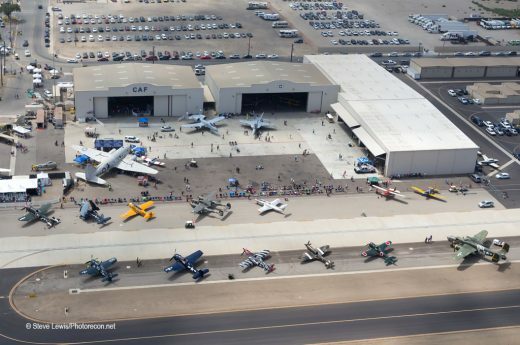 With such a rich history of aviation testing and pioneers in the Antelope Valley, the setting couldn’t be better. In only it’s fourth year, the show’s popularity continues to grow and had a record attendance of 40,000 show goers on the weekend of March 25th and 26th. The headliners, the United States Air Force Demonstration Team, The Thunderbirds wowed the crowd with their breathtaking formation and individual maneuvers. 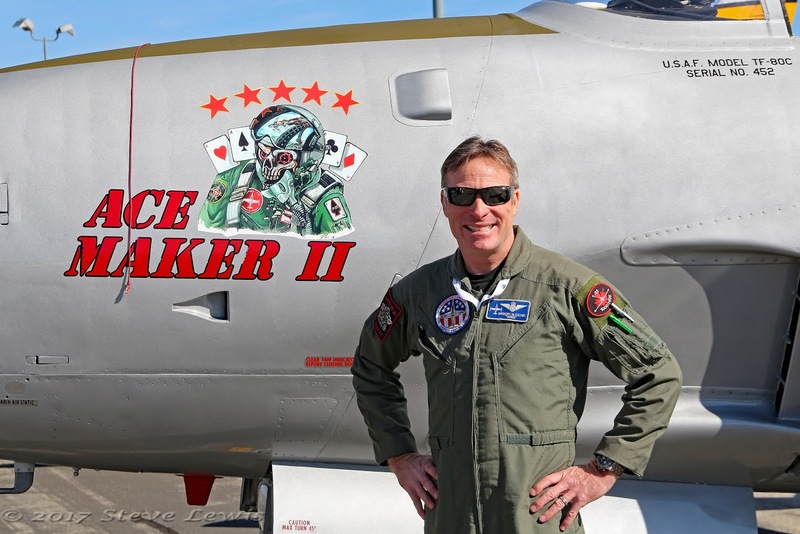 Also performing for the air show fans were: A P-38, F-86, F4U, P-51, and B-25 from the Planes of Fame Air Museum, a Spitfire and a Yak-3 from the Southern California Wing of the Commemorative Air Force, Greg Colyer in his T-33 “Ace Maker II”, a demonstration of both the F/A-18E and F Super Hornets, (the E model on Sat. with the F model on Sun. 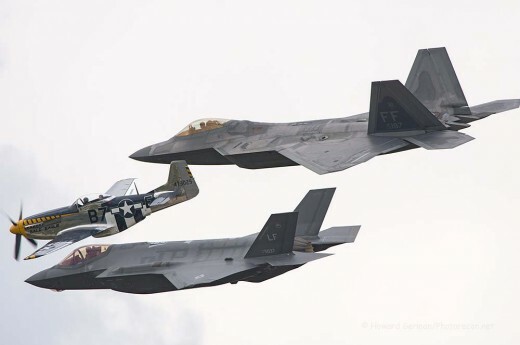 ), as well as one of my favorite parts of any show, the US Air Force Heritage Flight. There was a very special treat for this show, as not only did we see the return of the A-10 Thunderbolt to the Heritage Flight, but TWO were actually used in formation with the POF”s P-38. 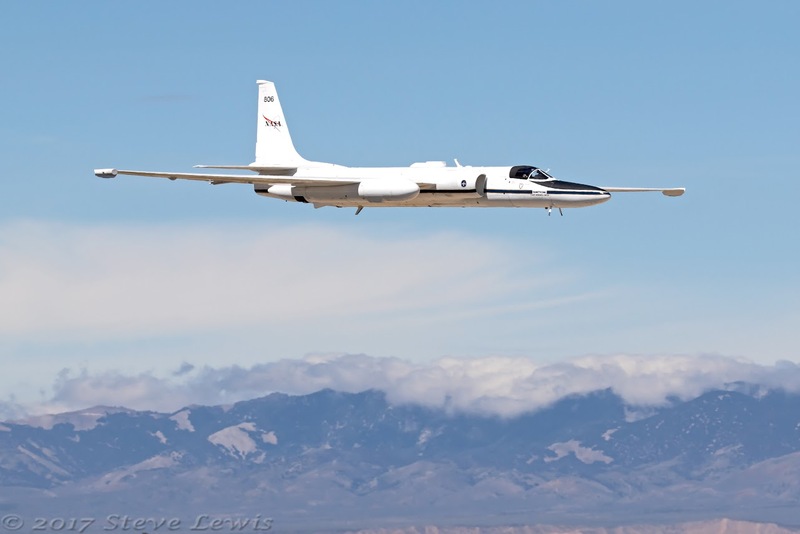 In addition, some of the notable aircraft that are unique to this show were an ER-2 from NASA that made multiple passes each day, the Scaled Composites ARES Ground Attack Demonstrator, and the first F-35A produced which came over from Edwards AFB to be on static display. There were large tents which housed a large STEM exhibit, NASA displays, as well as an interactive area allowing people of all ages to try their hand in designing and building flying platforms that you could then test out in small wind tunnels. Another year has gone by, and another huge success for this show. I can’t wait to see what they have in store for next year. Steve is a Southern California based photographer living in the Los Angeles area.